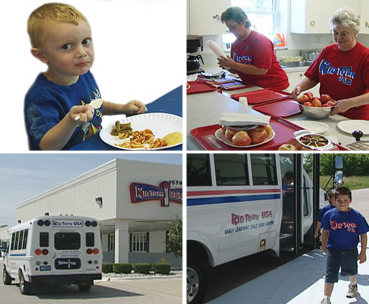 Leave the transportation and meals to Kid Town USA in Clinton Township, Michigan. Whether you need help getting your child to school or don't have time to pack a lunch, depend on us to provide your child with transportation to and from school, as well as snacks and meals throughout the day. We will tend to your needs so you can rest assured knowing that your child is well taken care of. 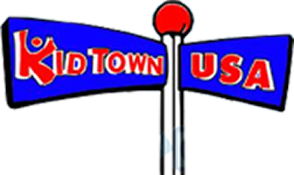 Kid Town USA provides transportation for many of the local schools in our area. Children will be transported to and/or from their schools in a licensed van and/or bus with drivers meeting state requirements. Schools must be within a reasonable distance of the center for transportation services. However, due to school start times being similar, we are unable to go to every school. Each year when making our bus schedules, we take into consideration the start times and the demand for each school in order to provide the best possible service. A growing child requires nutritious meals. A morning snack, a full lunch, and an afternoon snack are served daily. All menus are designed to meet children's nutritional needs. Meals are served in the classroom. Teachers eat with the children, promoting good table manners and mealtime conversation. If your mornings are too rushed for your child to eat a good breakfast or if he would like the dining-in experience in class, our breakfast program is available. Our kitchen is fully equipped to handle all children's special needs.